Grapes Barbera (60%) and Bonarda (40%) selected in old vineyards with very low yield per tree (each plant produces few clusters of great quality) in the most suitable areas of Colli Piacentini (200-250 m.s.m.). 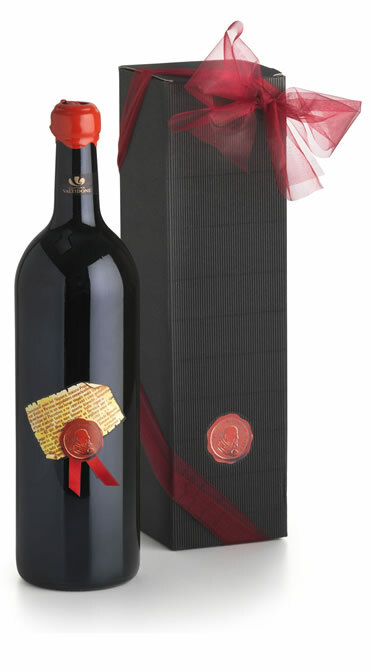 Vinification “in red” with long controlled maceration, to have a selective extraction of “noble” tannins (neither bitter nor astringent); a year of aging in oak barrels, followed by at least another year of aging in bottle. Intense and glossy garnet color with brick red nuances; well pronounced and complex bouquet (hints of plum jam, vanilla, clove, pepper, leather and licorice); full flavor, warm and vigorous, with a distinct base of ripe fruit and spices. Serve at 18 ° C, it goes well with red meats, game, truffle dishes and strong cheeses.